To prevent a traffic jam, just let everyone cut in front of you. Yes? They could create HOV (high occupancy vehicles) lanes and HOT (high-occupancy toll) lane that are HOV. Or, ETLs (express toll lanes) that use variable pricing sensors that charge drivers for using faster moving lanes are a possibility. The details also can make a difference like managing traffic signal timing, expediting crash removal, and establishing incentives that nudge employers to vary the beginning of the work day. Interestingly, new roads are not necessarily the answer because the extra supply attracts more drivers. One study concluded that in 10 years you wind up back where you started. Furthermore, those extra lanes cost dollars that could have been used elsewhere–maybe $10-$15 million a mile. From lost sleep to late arrivals, aggravation and a missed breakfast, the externalities created by a traffic jam are endless. 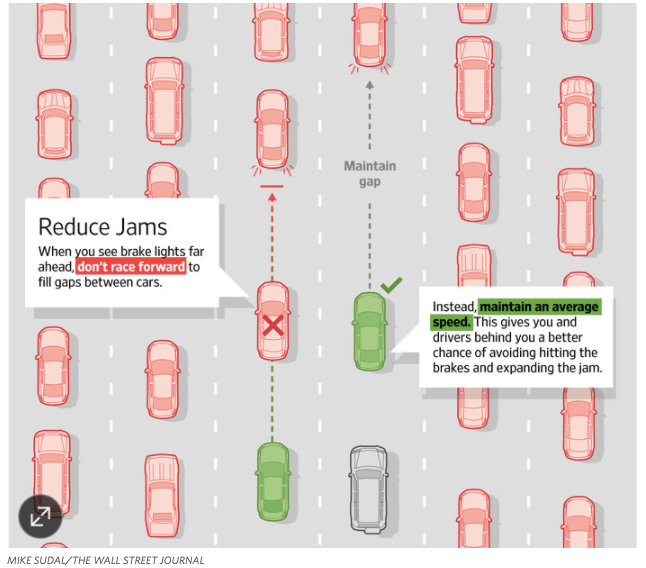 And they could all be created by one tailgater who stopped cars from switching lanes. My sources and more: Perfect for more data than you could ever want about congestion, the “Urban Mobility Scorecard” for 2015 is a dream. Then, complementing the scorecard, WSJ focuses on how one person can make a difference. 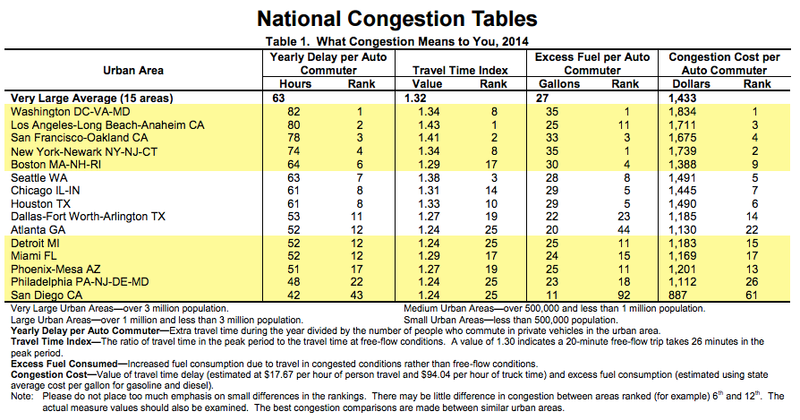 Please note that parts of traffic congestion solutions were previously published in a past econlife.